Yesterday, a court dismissed game developer Digital Homicide’s $10 million case against YouTube critic Jim Sterling. Fortunately for those of us who write about video games, Sterling’s scathing critique of Digital Homicide’s game Slaughtering Grounds won’t create precedent for developers slamming critics with million-dollar lawsuits. Years ago, Sterling published a YouTube video describing Digital Homicide’s Slaughtering Grounds as a “New ‘Worst Game Of 2014' Contender.” Sterling, who regularly plays games he considers hilariously bad, skewered Slaughtering Grounds, deeming it an “absolute failure.” His critique implied Digital Homicide was selling an original game composed of unoriginal materials, or “asset flipping.” In response, Digital Homicide accused Sterling of playing the game incorrectly, perhaps to entertain or attract viewers. They soon filed a DMCA takedown to wipe Sterling’s video from YouTube. “We find the usage of the terms ‘WORST GAME OF 2014 CONTENDER!’ and ‘Absolute Failure’ to describe the entirety of our product while not actually evaluating it in its entirety unfair and unreasonable use of our copyright material,” they wrote. YouTube briefly removed the video, but reinstated it after Sterling petitioned. Now, this was a startling sight for games critics. If taken seriously, Digital Homicide’s lawsuit could constitute a threat against critics who publish negative reviews on large platforms. A little desperate, Digital Homicide later sued 100 mostly-anonymous Steam users for $18 million in the wake of negative Steam comments. Steam subsequently removed Digital Homicide’s games from the platform, citing the company’s hostility to Steam customers. Thankfully, Digital Homicide’s case didn’t make it very far. Sterling told me the agreement to dismiss the case was exactly the result he’d hoped for, although, after a year of this, he’s pretty tired. “Not all threats from the Internet are idle ones, and I wouldn’t recommend anybody brush them off,” Sterling concluded. 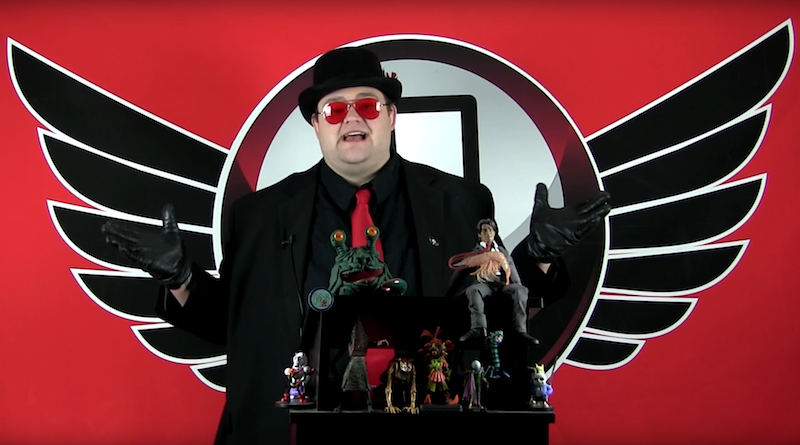 [Update—5:45 PM]: Jim Sterling posted a statement on his blog.